FIGHT CLUB tells the journey of four friends, Vicky [Zayed Khan], Karan [Dino Morea], Somil [Ritiesh Deshmukh] and Diku [Aashish Chowdhry], who, in a constant endeavor to help each other, get entangled in a web of incidents, some romantic, many funny and all that test the extremes of their friendship. The four friends, who could be mistaken for brothers, are an example of wonderful camaraderie. 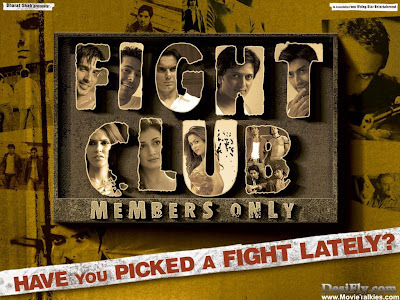 The story takes a turn when Vicky stumbles upon the idea of a Fight Club, a club which gives people a platform to score with their enemies in an atmosphere of fun, action and excitement. Amidst the on-going fun, team Fight Club get entangled in affairs of the heart and mind with Anu [Dia Mirza] and Shonali [Amrita Arora], which thicken their bonds tighterâ€¦ and make them travel to Delhi to look after a nightclub, 'Crossroads', which is in the eye of a storm created by Delhi's most dangerous ganglords. There's a twist in the tale as the ex-kingpin Anna's [Suniel Shetty] brother Mohit [Yash Tonk] gets killed. This fills Anna with vengeance and situations take an ugly turn. Dinesh [Ashmit Patel], a merciless soul, masterminds the plan of killing. His brother Sandy [Rahul Dev] gives him strong company, as always. Team Fight Club calls on their ace, Sameer [Sohail Khan], a bouncer, to tilt the balance in their favor. In the puffed up atmosphere of fists and fights, Sameer finds love in the name of Komal [Neha Dhupia]. Now, in a strange new city, these five boys from Mumbai experience love, passion and also the worst enemies in the form of ganglords. If there's one aspect that you carry home after FIGHT CLUB has concluded, it's the skillfully executed action sequences. Of course, the film has to live up to the title, but not at the cost of throwing the story on the backseat. That's precisely the problem with FIGHT CLUB. Actually, come to think of it, the film stands on a feeble foundation. The basic premise -- of starting a fight club to settle scores with foes -- sounds juvenile. The concept may've appealed in the U.S., but expecting the Indian masses or the youth in particular to buy this idea is next to impossible. If the material is amateurish, the screenplay is of convenience completely. In fact, out of the 2.45 minutes' length of this film, half of it is devoted to either singing, dancing and light banter and the remaining half goes into fights, fights and more fights. The story, sadly, comes to the fore only in the penultimate reels. Director Vikram Chopra has concentrated more on visuals than content and that's the reason why the film fails to hold your attention. The sole aspect that stays alive even after the show has ended is the action sequences, but that's no compliment. It's a clear case of form overpowering content! ویکی (زاید خان) یک باشگاه مشت زنی زیر زمینی به راه می اندازد که در آن شاگردان کالج به زور آزمایی می پردازند. دوستانش سونیل(ریتیش دیشموک) ، کاران(دینو مورا) و دیکو(آشیش چودری)از این مسئله استقبال می کنند و به او کمک می کنند چون احساس مس کنند که پول زیادی در این وسط نصیبشان خواهد شد. کلوب انها به سرعت زبان زد می شود . یک روز ویکی و کاران به فرودگاه می روند تا خواهر کاران نیها (دیا میرزا) که بعد از مدتها تحصیل باز می گردد را به خانه برسانند، کاران مدام از نیها می گوید ولی تمام حواس ویکی به دختران اطراف است تا اینکه چشمش به دختری جذاب می افتد در همان لحظه کاران به سمت آن دختر می رود و تازه ویکی متوجه می شود که او خواهر کاران است. اما وقتی می خواست به نیها زنگ بزند میبیند شارژ موبایلش تمام شده از ویکی تلفنش را میگیرد به نیها زنگ میزند تلفن اشغال است وقتی می خواهد دوباره بگیرد میبیند نام انجل روی شماره سیو شده و ...حال ویکی را جا می اورد ولی نیها او را دوست دارد پس کاری نمی تواند بکند. درست است.بعد از مدتی طولانی تماشاگران جهره مرا دیدند، اما باور کنید درتعطیلات یا یک همچین چیزی نبودم، می دانید اصلا برایم مهم نبود که بگویند این کار کلیشه ای و تکراری است و قالب من هم قالب همیشگی است فقط دوست داشتم یک فیلم خوب بازی کنم ، معتقدم این فیلم فیلم خوبی بود و انتخاب درستی داشتم ؛ در کل می خواهم انتخاب هایم را روی اصولی بنا کنم، بعد از چند اشتباه اساسی و وحشتناک در حرفه ام می خواستم کار درستی را ارائه دهم. 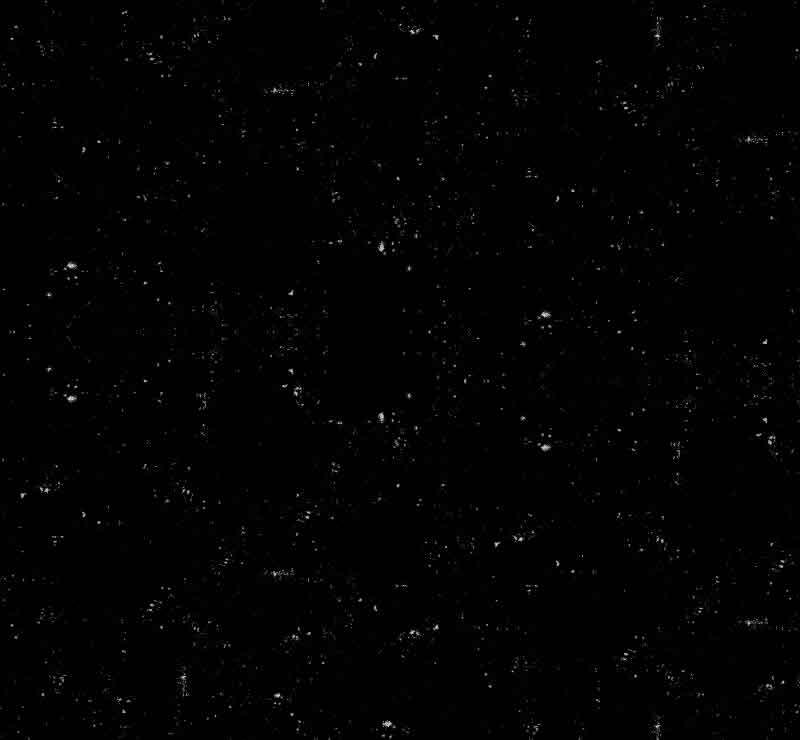 او یک کارفرمای سر سخت است اما کارگردانی خوبی هم هست ، هر لحظه از فیلم او را که می بینید ، دریایی از احساسات و هنر را شاهد هستید به عنوان فیلمساز زن از حس زیبایی شناختی خوبی برخوردار است. متاسفانه یا خوشبختانه غیر از نامشان هیچ شباهتی خاصی با هم ندارند ضمن آنکه که آن فیلم جزو آثار دوست داشتنی من است . من از طرفداران براد پیت در این فیلم هستم. شما می خواهید من از کارم تعریف کنم یا آن را بکوبم ؟! مسئله اینجاست که دوست دارم مردم کارم را حلاجی کنند ، به نقدهای بیخود اهمیتی نمی دهم ضمن آنکه معتقدم هیچ کار بی عیب و نقصی وجود ندارد.